The use of sign-on and retention bonuses appears to be at an all-time high, according to a recently released WorldatWork survey on bonus programs and practices. The research, which highlights the practices of 713 organizational participants, is the fifth iteration of a series that dates back to 2001. Among other things (like the volatility of today’s labor market), these findings tell us that an increasing proportion of the reward dollars needed to attract and retain talent are being channeled into things other than fixed base salaries. Take a look at these trend lines (see left). You should note in particular that the overall use of retention bonuses has nearly doubled since 2010! More organizations are giving flat dollar amounts (greater than three-fourths) than in 2010 except for executive roles. Generally speaking, it looks like not only are there more organizations offering sign-on bonuses, but they are also paying out at higher rates with executives being paid the most (41 percent receive greater than $50,000). Most organizations (seven of every 10) base the decision to award a retention bonus on discretion. The remaining minority (30 percent) base their decisions on formal eligibility criteria and guidelines. 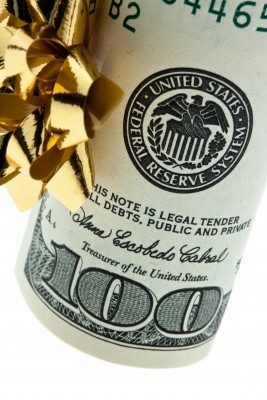 Participants report that most employee groups are eligible to receive retention bonuses. Clerical employees are the least likely, but still eligible at nearly half (49 percent) of the participating organizations. A lump sum payment (versus regular intervals or a progressive time frame) remains the most common practice for delivering retention bonuses, used by roughly two-thirds of organizations. You can find more information on the WorldatWork research here. Comments? Observations?